How to Write a Paragraph Using the Writing Cycle - easy suggestions to follow to develop a paragraph. Paragraph Punch - Click on the Demo button for interactive exercises that guide users step by step through pre-writing, writing, organizing, editing, rewriting, and publishing. 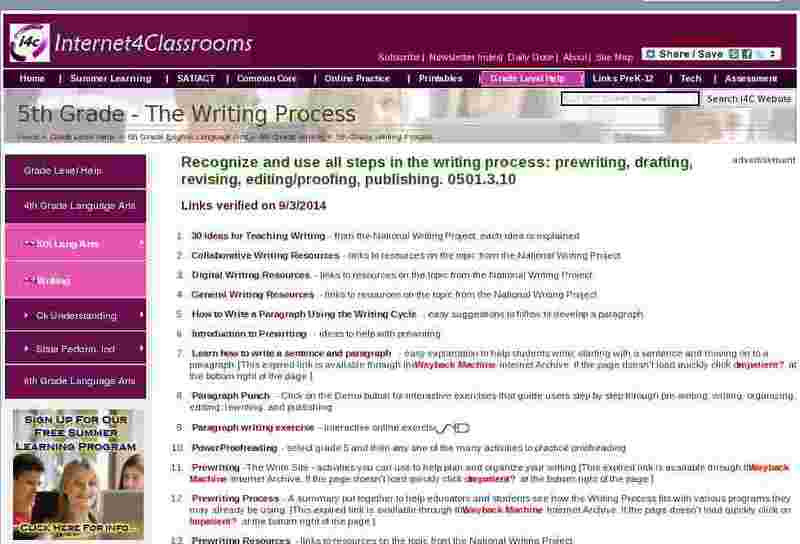 Proofreading - Select grade 5, any of the 35 units and then press the load game button. When you find a misspelled word you must type the correct spelling. There are errors other than spelling to correct in these passages.